The eyes truly are the windows to the soul, in that an eye exam can tell a detailed story about your overall health. That is why Spector Eye Care is dedicated to providing thorough comprehensive eye care. 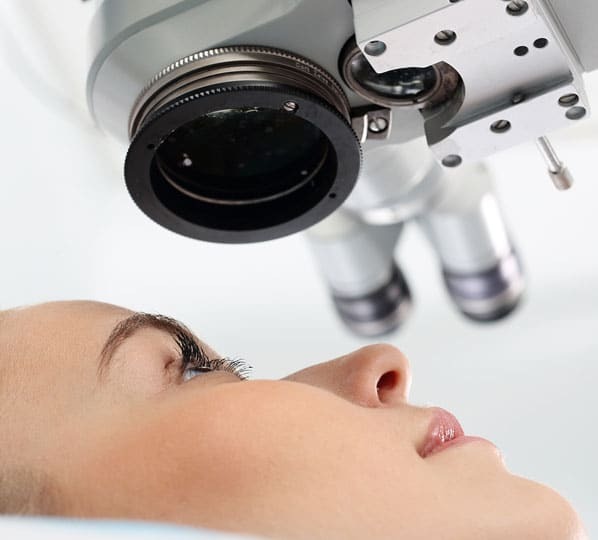 Our team of ophthalmologists, optometrists, opticians and technicians provide caring preventative and diagnostic services using the latest technology and techniques in ophthalmology. Services include treatment of dry eye and glaucoma, diabetic eye care, retina conditions treatment, vitreolysis, cataract surgery, LASIK vision correction, prescriptions for glasses and contacts, and much more. But it all starts with a routine eye exam. Healthy eyes begin with routine eye exams. In addition to prescriptions for eyeglasses, an eye exam can detect changes in your eyes that may indicate more serious conditions elsewhere in your body. Your eye exam will include a thorough evaluation of your visual function and ocular health, as well as a refraction test to determine your need for glasses and/or contacts. Refraction tests may include dilation, but ask your technician about our new Optomap Retinal Exam, which skips the hassle of having your eye dilated. If you are in need of a prescription, Spector Eye Care meets all of your refractive needs, including a contact dispensary and a licensed in-office Optical Shop!